Aztec Treasures is a slot easy to play. The first thing you need to do prior to playing is determining how many active pay lines you want. When you want to use the autoplay function, you will have to configure this again, unlike on slots by most other developers. After having dealt with the pay lines, you should also determine the value of your coins and how many coins you want per pay line. Once you have configured everything, you can start playing. And, like said before, you won't encounter any standard symbol as all animations are based on the overall theme of the game. You will encounter treasure chests, wild animals, and, of course, Aztecs. There also is a wild symbol, which can replace any other symbol, but the gecko. This is because the gecko is the scatter symbol. When you get three scatter symbols, you will receive free spins. Furthermore, the wild symbol can also not replace the bonus symbol. Aztec Treasures is a slot produced by Betsoft. What immediately becomes apparent after opening this game, is the amount of attention paid to the animations. It is one of the older slots, but the theme really fits the game. The slot does not have standard symbols and all the animations are themed. The free spins and various bonus games bring a lot of action. Especially, the extra feature during free spins can result in big winnings. How to play Aztec Treasures? Aztec Treasures is a slot easy to play. The first thing you need to do prior to playing is determining how many active pay lines you want. When you want to use the autoplay function, you will have to configure this again, unlike on slots by most other developers. After having dealt with the pay lines, you should also determine the value of your coins and how many coins you want per pay line. Once you have configured everything, you can start playing. And, like said before, you won’t encounter any standard symbol as all animations are based on the overall theme of the game. You will encounter treasure chests, wild animals, and, of course, Aztecs. There also is a wild symbol, which can replace any other symbol, but the gecko. This is because the gecko is the scatter symbol. When you get three scatter symbols, you will receive free spins. Furthermore, the wild symbol can also not replace the bonus symbol. Aztec Treasures has free spins which are much better than free spins on other slots. At first, however, you might feel slightly disappointed when reaching free spins. Namely, when you have three geckos, you will receive just five free spins. However, during free spins, every time a gecko lands on your reels, you will receive more free spins. And, luckily, this happens quite often. This means that instead of having just five free spins, you will, for example, get 30! During free spins, all pay lines are active, but there are no multipliers that can increase your winnings. However, on the other hand, because of the vast amount of free spins, you won’t really miss a multiplier. Aztec Treasures is equipped with two bonus games. One of them being the Love Hut bonus. For this, you will need three huts landing on your turning wheels. The other one being the Secret Room bonus, which will be granted to you when three stones end up on your reels. However, for this second bonus, you do need all the colors to be present. Both of these bonuses can result in some pretty handsome payouts, and things really would have to go terribly wrong for you to not win anything. So, these bonuses are lucrative. However, the feature is even more so. If you get the golden coin – the Aztec sign for a calendar – on your reels in three-fold on an active pay line, you immediately win 20,000 coins! The 20,000 coins that you can win, isn’t, of course, a jackpot, but it is a rather big instant prize. There are 30 pay lines, and you don’t have to play all of them. If you want to just relax and let the machine play, you can use the autoplay function. 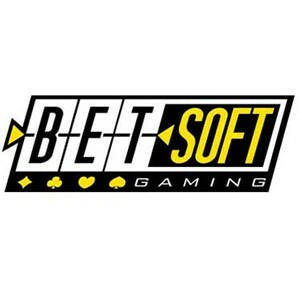 For this, it is important to know that on Betsoft machines, you always have to configure everything again after activating the autoplay function. If you forget, you will be playing all your automated spins with just one active pay line.